Voice123.com is one of the first online casting companies and still one of the top two. They allow voice over talent to sign up and become a subscriber of the site. And they allow voice seekers (clients) to post general auditions for voice over jobs, invite specific talent to audition for jobs, or to contact talent directly to offer them work. The talent can live anywhere in the world. And the voice seekers can be from anywhere in the world. 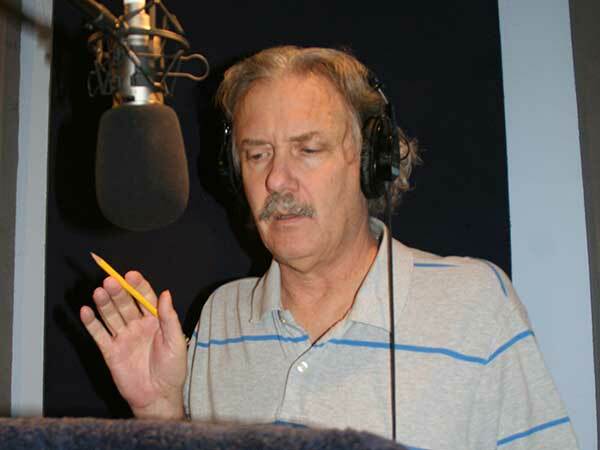 So a voice talent in Florida can easily audition for a voice over job in British Columbia. The good news is you can get voice over work all over the country and the world. The more serious news is you compete with talent from all over the country and the world. This opens up voice over opportunities for talent that live in areas that are not the main media centers like Los Angeles, Chicago, New York, Atlanta, Houston, etc. And it lets voice seekers anywhere in the country select from the best talent regardless of the talent's location. You can upload your demos to showcase your abilities. You can receive direct invitations from voice seekers to submit auditions using their state-of-the-art auditioning system. There is automatic notification of qualified voice over projects. You get paid directly by the client. There is no commission or agent fees. It does not prevent you from working with any other casting service. It is non-exclusive. You you have global exposure. So with all this wonderful stuff for free, why should you purchase the PAID subscription? There are two key reasons. First, if you are a paid subscriber then your profile will show up first if a voice seeker searches the talent base using keywords. So if you have a SULTRY voice and the client does a search for middle age women who sound SULTRY, your profile will appear in the beginning of the search results. As a free subscriber the only way a client can find you is by paging through the results list of about 23,000 (my guess) other free subscribers. Good luck on that one! And second, as a free subscriber you can respond to a direct request (ha ha--see number one above) but you cannot reply with custom auditions to the general auditions that are posted. Which is really what the site is all about. So in the long run you will want the paid subscription. But to get a feel for it, set up your profile, upload you demos and see what the auditions consist of you can sign up for the FREE subscription and then convert to the PAID subscription at a later date. Voice123.com uses a proprietary casting algorithm to select which talents receive which auditions. I'm not exactly sure just how it works but here's a good guess. It considers attributes the voice seeker requests such as young male or senior female and North American English or British English. It also scours your profile for hints, so if you say you do a New York accent and the voice seeker requests a New York Accent it will match you up. And--here's the spooky part-- it watches the types of auditions that you respond to. So, for example, you only respond to high-budget jobs the it will favor sending you those types of jobs. Don't "shotgun" auditions. Only respond to auditions that you feel you can excel at. This way it will send auditions that fit you. Don't respond to all the auditions you get. It will send you less auditions (it tries to distribute them evenly to everybody) I'll do 3-4 per day max. The good thing about SmartCast® is that it doesn't dump the auditions to everyone, all at the same time. It selectively feeds them out over the life of the audition deadline so you have plenty of time to respond without instantly being number 185 out of 200 auditions. James Earl Jones would get lost in that crowd. And it does target the auditions to fit your preferences while still giving you a wide variety to choose from. Pretty smart! Voice123.com post auditions for a wide variety of jobs such as commercials, industrials, audiobooks, phone systems, animation, narration, promos and trailers, video games and toys. These can also be local regional or national--or for use in other countries. There is also union and non-union work although 99% of the work is non-union. If you ask around and read online blogs you'll get various opinions of online casting in general and voice123.com in particular. Let me tell you why I recommend voice123.com if you are just approaching this industry or you're a pro that wants to expand your horizons. One of the big questions I get asked by my class and online students is: where can I get copy to read in order to practice and stay sharp. Well, duh, if you're a subscriber to voice123.com you'll receive several audition scripts each day--I get 5-10 per day. And these are real-world scripts. Some of the writing is fabulous. Some of it is a little weak. Some of it is downright lame. But this is the type of material you'll encounter every day as a voice over talent. So even if you never audition you have fresh copy to practice on each day. But it gets better. You know how you say "I really should practice reading copy... but Dancing with the Stars is on..."? With the voice123.com copy you're motivated to practice because these are real auditions you're reading for. Do it well and you could actually book the job. So each day you get to practice reading copy, hone your recording skills, evaluate your progress, and then ship an audition to a real-world client. Using this feedback can give valuable information about how close you're getting and what you might need to improve. OK, that joke is getting tired. But there is more. There is also a separate "My Stats" page that tell you how many submissions the average subscriber sends in six months and how many you send, where you rank as a percentile of all the premium subscribers in evaluations, how complete your profile is and how many demos you have posted. You can use this information to optimize your auditions and your profile. You are not going to get rich on voice123.com. Most of the jobs are local or regional or non-broadcast. But if you're consistent about working the system you'll start to receive direct invitations from clients who have bookmarked your voice and you'll have repeat business from jobs you win as you build a clientele across the country. So you can develop a second income from it. Combine voice123.com with the other online casting sites and things can start to add up. The way I look at it, if you get one or two jobs a year, you'll recoup the subscription cost--and have many opportunities to learn, perfect your craft, evaluate your progress and make more money.